● Baymont Inn & Suites sporadically offers special discount coupons for sales not listed on their website. These are usually 15-25% discounts on room rates. ● Featured deals and specials, including pre-booking discounts, travel packages, and free nights with minimum stay, are listed in the Deals and Discounts Section. ● Baymont Inn & Suites customers can join the Wyndham Rewards Loyalty Program and earn points toward airline miles, hotel stays, or gift merchandise. ● Baymont Inn & Suites has a Lowest Rate Guarantee: if you find a lower, publicly available rate on another website for the same hotel accommodation and date, it will match the competing rate plus give you an extra 10% discount. Booking your accommodations for your trip is essential to make sure that you have a place to stay. 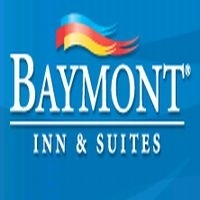 Baymont Inn & Suites is a hotel chain that is a part of the Wyndham hotel family. On their website you can enter a small amount of travel information to see a list of rooms that they have available. You will have to provide the name of the city that you're visiting, your check in/check out dates, the amount of rooms that you need, and the number of people you're traveling with. The site will then generate a list of potential rates that you can browse through. For most up to date offers check out Baymont Inn & Suites on Facebook and Twitter or contact Baymont Inn & Suites Support for any questions.